The game just got real. 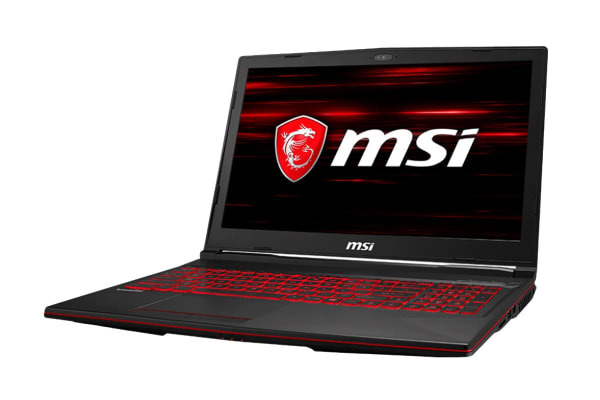 Featuring NVIDIA GeForce RTX2060, the MSI GL63 8SE-092AU 15.6” Gaming Laptop delivers the ultimate laptop gaming experience. The sleek and powerful MSI GL63 8SE-092AU 15.6” Gaming Laptop is powered by the NVIDIA Turing GPU architecture and the revolutionary RTX platform. RTX graphics bring together real-time ray tracing, artificial intelligence and programmable shading. 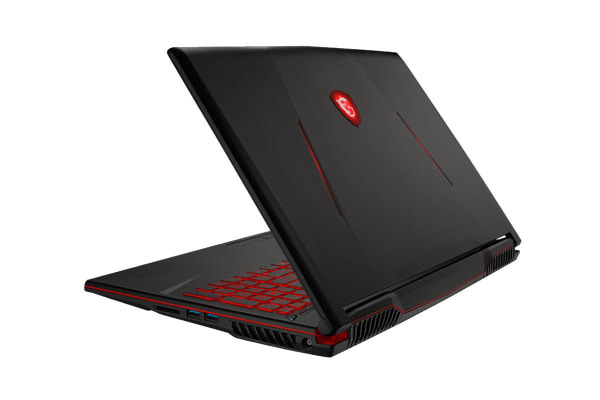 With Ray tracing, this laptop takes gaming graphics to the next level, simulating the physical behaviour of light to bring real-time, cinematic-quality rendering to even the most visually intense games like never before. Deep Learning Super Sampling (DLSS) is RTX technology that uses the power of deep learning and AI to train the GPU to render crisp images, while running up to 2x faster than previous generation GPUs using conventional anti-aliasing techniques. See every detail during chaotic gameplays. By displaying 120 picture frames per second, this laptop brings you the most vibrant visuals for the ultimate entertainment pleasure. The 94% NTSC panel delivers higher colour range, presenting smoother colour stage image output. Moreover, the wide-view characteristic of this panel allows clear view even from left and right side of the viewing angle. 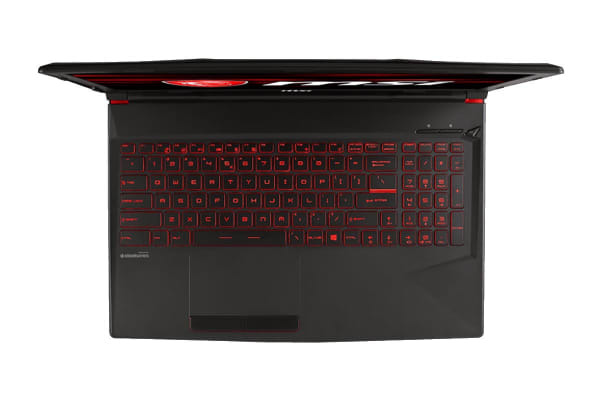 This gaming laptop offers revolutionary cooling for enthusiastic gaming. Dedicated thermal solutions for both the CPU and GPU with a total of 7 heat pipes ensure maximum performance under extreme gaming. You can also fine tune your rig with Shift. Switch between the best performance and extended battery life with the exclusive MSI “SHIFT” to meet all scenarios. The SuperSpeed+ transfer mode supports transferring data up to 10Gbps, around 20x faster than the previous USB 2.0 standard. The USB Type-C port is smaller than the old Type-A port and reversible design makes it more convenient than before. The USB3.1 is backwards compatible with USB3.0 and USB 2.0. Every detail is calculated and designed with 1.9mm key travel for better responsive and tactile feedback, optimum WASD zone, mechanical-level shielding and support of anti-ghosting for up to 45 keys. The MSI APP Player brings seamless gaming experience between mobile games and PC platform and leverages customised features as specific keyboard lighting and better graphics with multi-task works. The Dragon Center 2.0 allows you to monitor and optimise through various customisation and freeing system memories to prioritise in-game performance. Experience the SteelSeries silver-lining printing keyboard with intense red that is built to last. Gamers can feel every engine sound roaring past with the upgraded giant speakers. Exclusive audio module design and independent sound chamber for top-notch auditory sensation. Enhance audio detail by 30% with built-in AMP (Audio Power Amplifier) and golden audio jack. Nahimic3 offers an incredible high definition sound technology which boosts the audio and voice performance of your gaming computer. Enjoy an immersive virtual 7.1 sound through your standard stereo equipment.